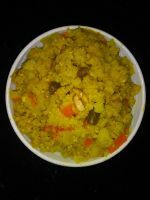 Tahiri is an Allahabadi Pulav cooked with mild spices, vegetables and Basmati Rice. 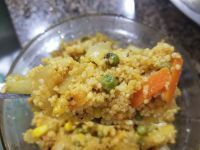 I have replaced rice with Kodo Millet and the result was unimaginable! 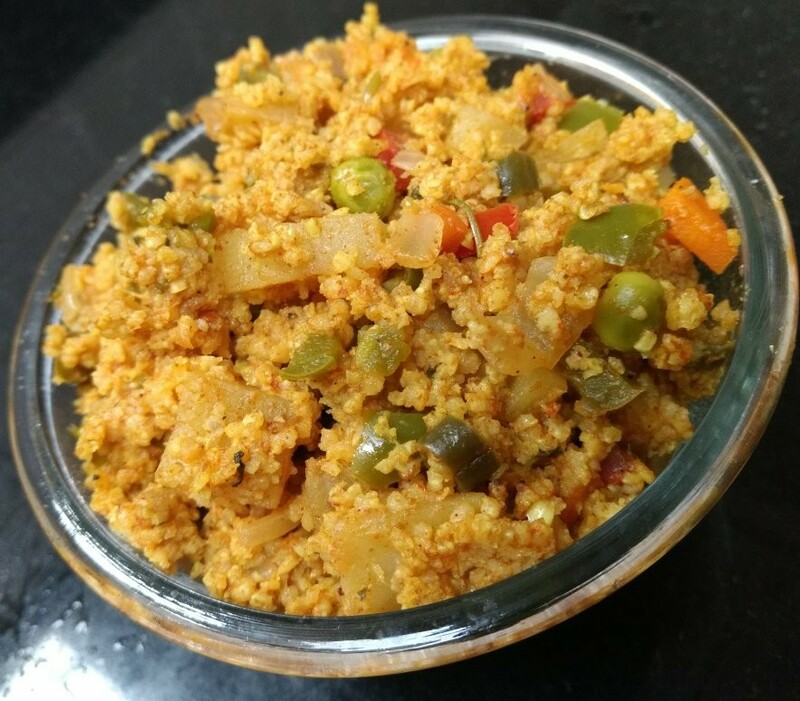 Beat the curd and mix in the Spices, Salt, Veggies, 2 tsp Ghee and marinate for 30 minutes. In a 2 ltr Pressure Cooker, add the remaining 2 tsp Ghee and 2 tsp water, mix frothy. Layer 1: Spread the Curd mix with veggies to cover the base. Layer 2: Spread the soaked and drained millet evenly. Layer 3: Spread Coriander and Pudhina Leaves. Layer 4: Sprinkle 1/4 cup water over the millet and pour 1/2 cup water from the sides of the cooker without disturbing the set up. Cook for 3 whistles. Open after the pressure settles down. Fluff up with a fork after 10 minutes and serve with raitha. I did not have peas hence added some more beans, nevertheless it tasted great!! 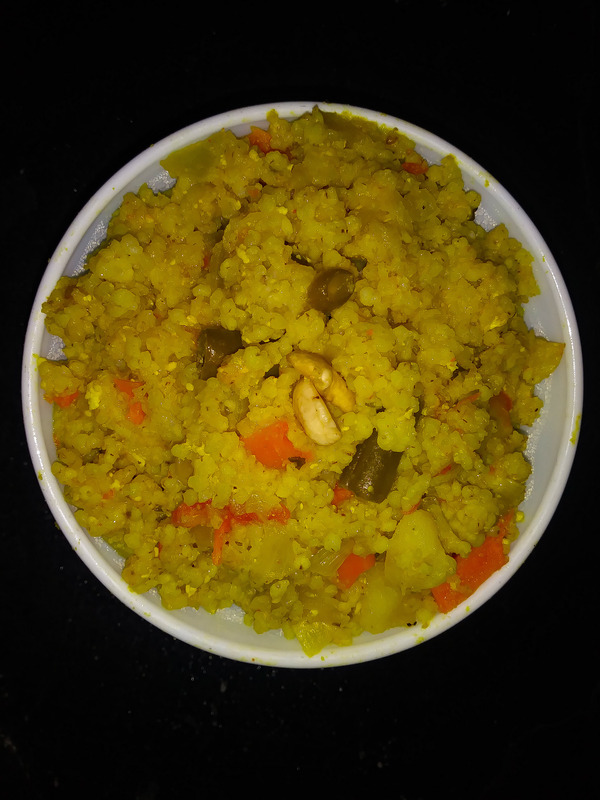 Thank you mam for a healthy recipe. Glad to know that your tahiri was well received by everyone! Thanks so much for the validation and sharing your experience. 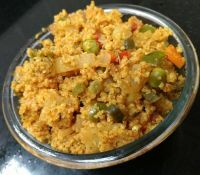 I cooked millet Tahiri n multi millet noodles today both came out nice Thkq very much for d recipes Vijaya Venkatesh ???????????? Happy to know that both dishes came out well. Thanks for sharing your experience. Wow wow wow!A big thanks for sharing this recipe.. You made my grandma so happy.. She was asking for long time about what to do with this kodo millet.. I came to know about this page from my sister.. Surfed it saw a different name with Known method… Gave a try with #opos method Inputted layer by layer in my cooker as per recipe card Here is the output.. Happy to see your Tahiri! OPOS technique is just awesome!! Magic unfolds when you open the cooker. 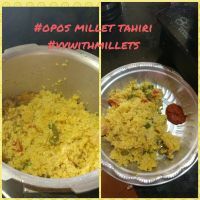 Tahiri is such an excellent and easy dish, prepared in minutes by OPOS. Thanks for sharing your experience. It looks too good! Thanks for this wonderful comment! Wow, its a flavour blast Mam. Thank u so much for the receipe. 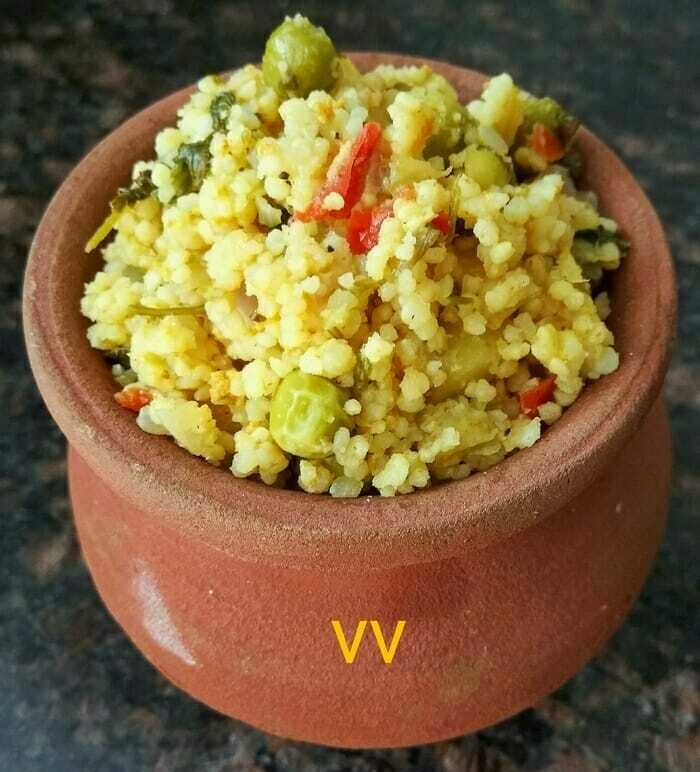 Never i had this texture in my life when cooking Millets. My mom n Hubby was awestruck. Happy to see your Tahiri! It looks exactly same as mine! OPOS makes it possible that wherever you are, if you follow the recipe, the results are the same! Congratulations on winning the contest! You made me proud! The description of each and every recipe tempts me to try out.As mentioned above , Tahiri turned out to be very mild on spices and yet a special lunch box item. 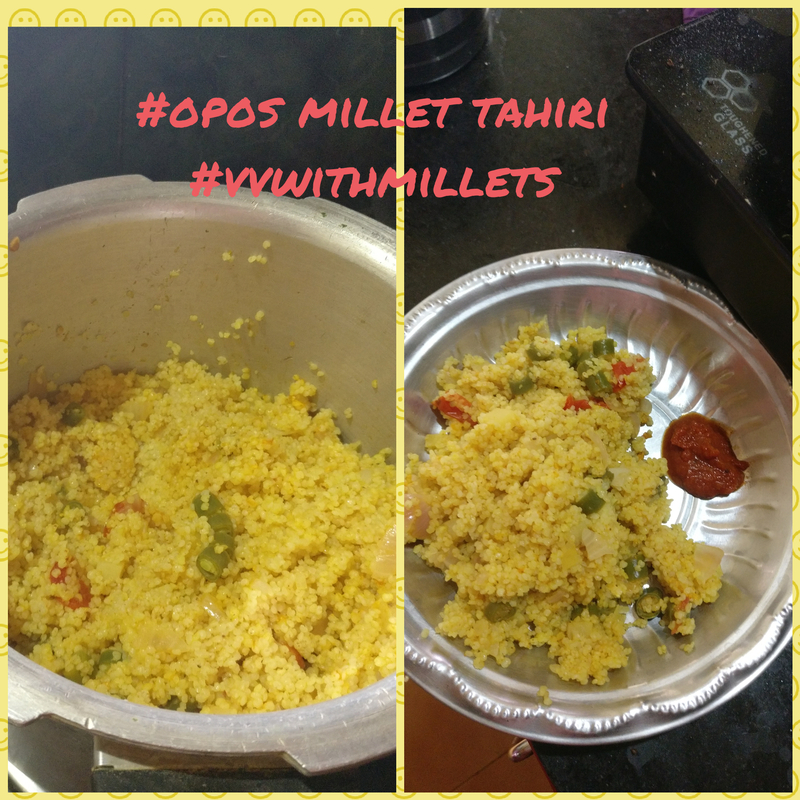 I tried it with Saamai /Little Millet.